Collaboration between Bitdefender, Europol, the FBI and the US Department of Justice has successfully ended with the takedown of Hansa, the global criminal marketplace. Operating on the Tor network, the dark net market distributed illegal goods and services, including guns and drugs. 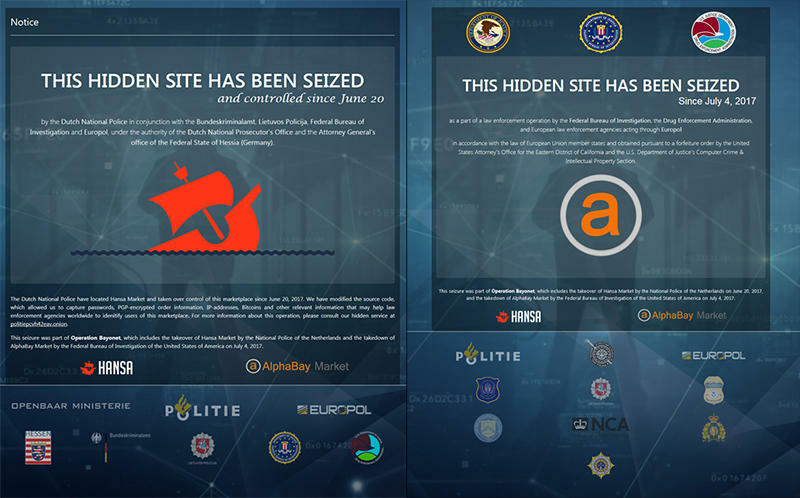 Hansa had been growing rapidly since AlphaBay, which had been the world’s largest criminal marketplace, was dismantled in June. AlphaBay, estimated to have made more than 1 billion US dollars, listed 250,000 illegal drugs and toxic chemicals, and over 100,000 stolen identification documents and access devices, malware and other computer hacking tools, firearms, fraudulent services, and counterfeit goods. Europol’s European Cybercrime Centre (EC3), which has been investigating criminal marketplaces for years, took over AlphaBay by stealth and impersonated its administrators before shutting it down. As expected, the closure prompted criminals to migrate en masse to Hansa, making it one of the new leading illegal markets on the Dark Web. Together with Europol and other law enforcement agencies, Bitdefender compiled the technical evidence that led to the shutdown of Hansa. The shutdown of Hansa, which sold illegal drugs, counterfeit products, firearms, malware and other illicit items, is the result of a year-long effort led by International law enforcement agencies. Following the Hansa sting, Dark Web fans fled to Reddit's dark web market forum to urgently advise fellow users to change their passwords. Any AlphaBay and Hansa refugees who have not been caught are expected to flee to the next-in-line illicit bazaar on the Dark Web, Dream Market.